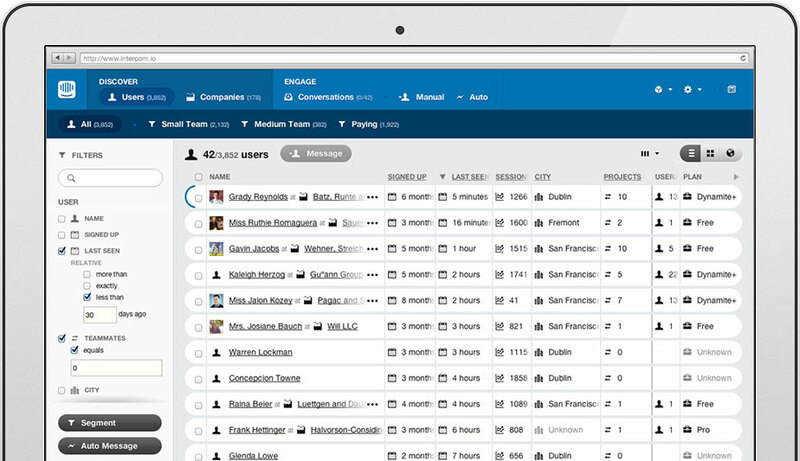 Intercom makes it easy to segment users, send them personal, relevant messages, and encourage them to reply. Intercom lets you create a simple communication schedule to ensure that every new signup gets individual attention. Intercom makes it easy to identify certain segments of users, like “active but with no teammates”, and analyze their behavior. View All products (1) by Intercom, Inc.